With Prevost Action Service System™ (PASS™), you have 24/7 access to immediate call center assistance. PASS offers many services, including finding the nearest qualified road service, securing emergency maintenance assistance and towing, scheduling emergency service appointments, and ordering parts. PASS is available 24/7, 365 days a year, by calling 1-800-463-7738. The Prevost Service Network includes Prevost Parts & Service™ Centers throughout North America: more than 175 trained and certified Service Providers and Parts Customer Service Centers in the U.S. and Canada. In addition, a large team of mobile service trucks are available in high-traffic areas and at special events to expand upon the work of our service centers. 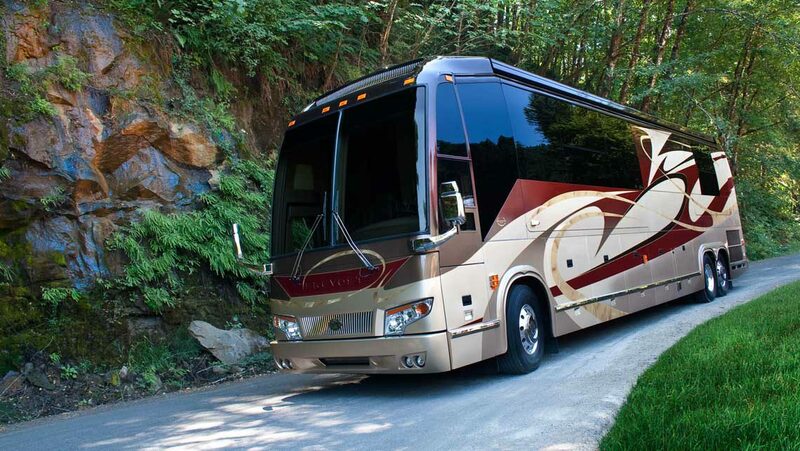 Prevost Parts & Service Center personnel are skilled specialists, certified to perform bumper-to-bumper maintenance and repair on all Prevost vehicles. They’re recognized for their extensive training and job tenure, and they stay informed on the technical advances that will keep your coach on the road and on schedule.